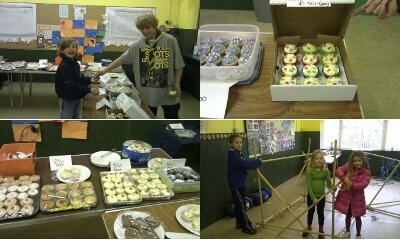 Entrepreneur Scout Bradley B organised a Cake Sale this morning in aid of Children In Need. For the last three weeks he has been canvassing support from all sections, leaders and parents. He even managed to get a mention on local radio and in the local paper! A massive effort from all involved has raised a tremendous £210 for a very worthy charity. WELL DONE BRADLEY!! 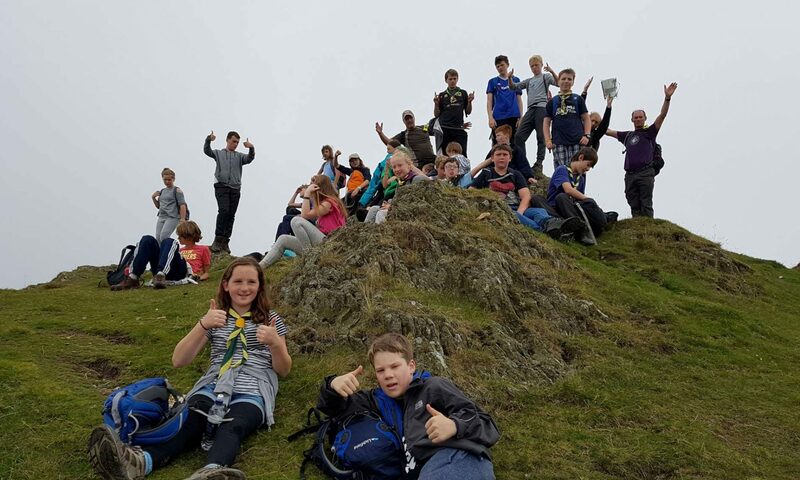 There were other Scouting activities for the children to do while making their purchases, such as tin can cooking, making gadgets, knots and lashings, camp doughnuts, drawing and colouring, and toasting marshmallows over an open fire. 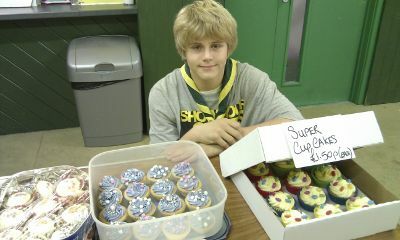 Many thanks to all parents, leaders, Scouts, Cubs and Beavers that supported Bradley and his team. 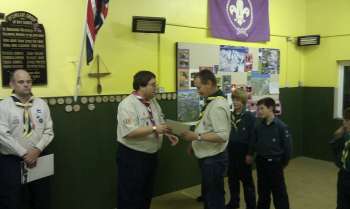 Assistant Scout Leader Trevor Burns was last night presented with his hard earned “Wood Badge” by District Commissioner Andy Goddon. 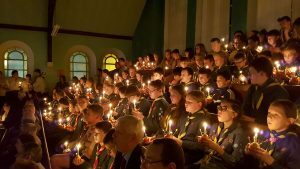 The Wood Badge is the culmination of three years adult training by the Scout Association. Trevor has completed many training courses, planned camps and activities, administration, safety training and perfected his practical skills. 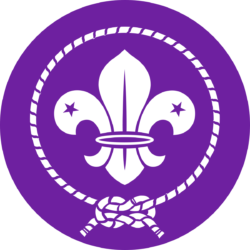 The Wood Badge is worn by all fully trained leaders, around the neck, and consists of a leather lace with two wooden beads attached which are carved from a special tree at Gilwell Park – Lord Baden-Powell’s former estate and home of Scouting. Well done Trevor!! We thank you for all the time and effort you give to the Scout Section.